It is that time once again, time to sit down and reflect on my favourite beauty products of 2017. I can’t quite believe that we are in 2018 already, time really does fly and no matter how much we all know it is a cliche to say that, it is true. Speaking of truth, this post is up later than I had initially planned due to various reasons, however, if like me you are still catching up on blog posts from over the Christmas period then I hope that in that case I can be forgiven. 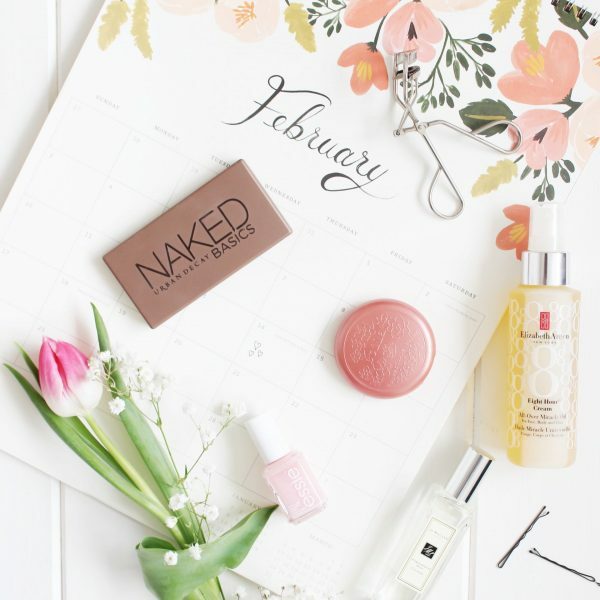 I have decided to split my beauty favourites post into two because this post would be incredibly long otherwise, therefore I will have one for skincare (and a few miscellaneous items) and the second for makeup. I thought I would kick it off with skincare as this is where my heart truly lies, with a good skin routine your make up will always look much better. Over the last twelve months, I didn’t really experiment that much with my skincare routine, I tended to finish one product and then move onto the next as opposed to switching every couple of months. There were however two stand out products which I would re-purchase over and over again and already have done so, I think they are fantastic. The Pixi Nourishing Cleansing Balm* was probably my most used product last year when it came to cleansing, I absolutely loved it and think that for the price it is one of the best you can buy on the market. It is fuss-free, easy to use and does not make my eyes sting, unlike many other cleansing balms I have used in the past. This is the only balm that I am happy to use on my eye makeup when cleansing with any other product I always have to remove my eye make up with micellar water. If you haven’t yet tried this, I would highly recommend giving it a try. 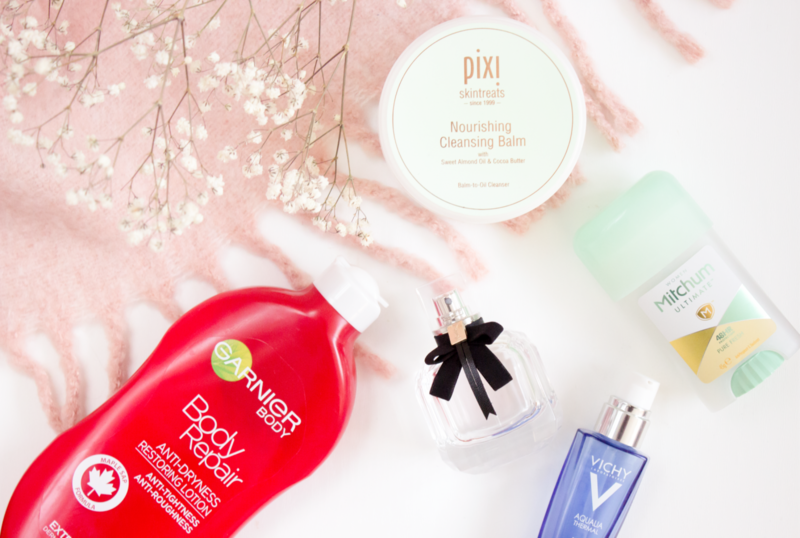 You can read my full review on the Pixi Cleansing Balm, along with a few of their other products here. 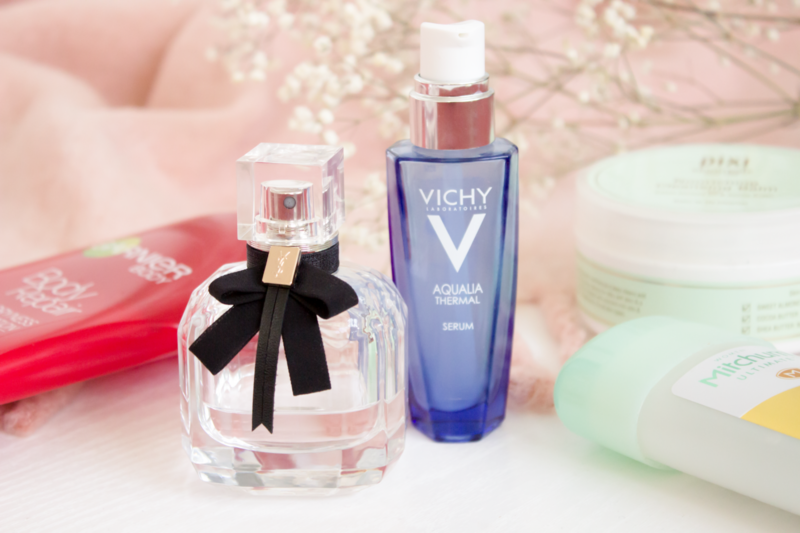 My second discovery of the year, although not a new one, it was new for me was the Vichy Aqualia Thermal Serum which I featured within my Autumn and Winter Skincare post. I had read countless high praise for this product and now I know why. If you suffer from dehydrated skin then you could do far worse than to look into this. It is an incredibly light serum which instantly soothes and hydrates your skin. In my case, I noticed a significant improvement in the texture of my skin and how bouncy it felt after I have been using it only for a few days. This isn’t the most affordable as it does retail at £25, I wouldn’t normally mind that price tag for a serum, however, I seemed to fly through this so it didn’t appear to last that long. Ideally look out for offers at Boots, or indeed Lloyds Pharmacy as that is where I picked up mine for about £16 whilst on offer. The Garner Body Repair Body Lotion was my favourite body lotion by far last year, it also came in super handy after being quite badly sunburnt after my summer holiday. This is quite easy to find as it is often in my local supermarkets as well as Boots and Superdrug. I am probably one of the most difficult people when it comes to moisturising my body, I hardly ever do it. This, however, I will make an exception for as it sinks in quickly and makes a notable difference to my skin and its hydration when I have used it, it is also fantastic if trying to prevent any form of razor burn. I can often be a bit too harsh when shaving, especially if it is a brand new blade, therefore, I always use this afterwards. When it comes to deodorant I only ever buy one brand these days. I am a firm believer of sticking to what you know works for you in this department as nobody wants to be caught out with a deodorant that has failed them. The Mitchum Advanced Pure Fresh Cream is my go to, I highly recommend it to everybody. It never lets me down, no matter how warm it is or how stressful the day. My final beauty favourite is my fragrance of choice, I opted to choose the Yves Saint Laurent Mon Paris. I picked this up during the Boxing Day sales in 2016 and I loved it throughout 2017. If I struggle with anything when it comes to beauty blogging it is trying to explain what a fragrance is like. To me, it is quite sweet, however not so much that it is too young and only appropriate for summer. It has a sophisticated sweet scent, one which I think you can easily wear for an evening out. The design of this is also beautiful, so much so that I will definitely be keeping the bottle once the perfume has gone (I have a tiny bit left) as I often find that they make nice little ornaments for my bedroom. What were your favourite skincare products from 2017? There are a couple of things I would like to try this year coming up, namely the Emma Hardie Cleansing Balm and Sunday Riley Good Genes.